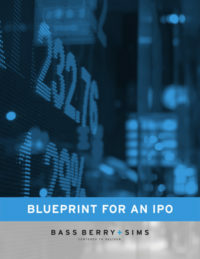 On July 24, the SEC proposed amendments to Rule 3-10 of Regulation S-X for guarantors and issuers of guaranteed securities registered or being registered, as well as the financial disclosure requirements in Rule 3-16 of Regulation S-X for affiliates whose securities collateralize securities registered or being registered. Here is the proposing release. The proposed changes are intended to provide investors with material information given the specific facts and circumstances, make the disclosures easier to understand, and reduce the costs and burdens to registrants. The proposal will be subject to a 60-day public comment period. Rule 3-10(a) states that every issuer of a registered security that is guaranteed and every guarantor of a registered security must file the financial statements required for a registrant by Regulation S-X. Rules 3-10(b) – (f) set forth five exceptions to this general rule, which permit the omission of separate financial statements of subsidiary issuers and guarantors when certain conditions are met, including that the parent company provides the alternative disclosures, which usually consists of highly-detailed condensed consolidating financial information. replace the requirement to provide disclosure only when the pledged securities meet or exceed a numerical threshold relative to the securities registered or being registered with a requirement to provide the proposed financial and non-financial disclosures in all cases unless they are immaterial to holders of the collateralized security. The proposed rules should be welcome news for any issuer that is contemplating, or has issued, registered debt with guarantors or pledgors. Even for those companies that may not be contemplating a registered debt offering, the proposal should give more flexibility when filing an omnibus shelf registration statement that includes debt securities. In the past, the SEC Staff has said that simply registering the guarantees will trigger Rule 3-10 financial disclosures even when a takedown of debt securities has not occurred. (For example, see this comment letter.) Complying with existing guarantor and pledgor financial disclosures was often a massive undertaking for public companies to prepare and in many cases added little value to investors in a registered debt offering. Contrast this with a typical offering memorandum in a similar Rule 144A deal where it only includes revenues, operating income (or similar metric) when available, assets and liabilities of the issuers and guarantors as a consolidated group, and the non-guarantor subsidiaries as a consolidated group. For questions or additional information about how the proposed amendments to Rule 3-10 of Regulation S-X could affect your company, contact Jay Knight or another Bass, Berry & Sims corporate and securities attorney.